IT HAS BEEN a tumultuous year for China. 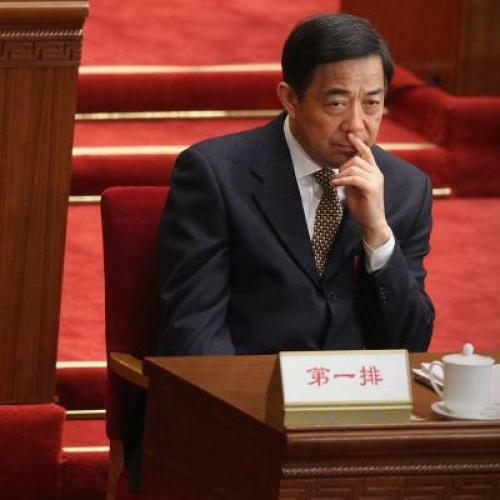 In March, the Communist Party unexpectedly sacked one of its biggest magnates, Bo Xilai, who was set to be promoted next autumn to the Politburo Standing Committee, the country’s most powerful body. This charismatic autocrat built up an unusually loud gangster personality that, in this rapidly growing country, was too “Red” for his more cautious peers. In 2007, Bo gained a high profile when he took command of the exploding mega-city of Chongqing, an industrial entrepôt of twenty-nine million people in the country’s southwest. He cracked down on organized crime, revived welfare programs, built low-income housing, and embarked on a Maoist nostalgia campaign that earned him the respect of the poor. “I like how Chairman Mao puts it: The world is ours. We will all have to work together,” reads a text message that Bo sent out to city residents in 2009, one of the many quotations that were usually taken from the former premier’s Little Red Book. Bo, the son of a famous revolutionary, was part of the “New Left,” a movement that seeks to move China away from capitalist development and to sew up its growing inequalities. But this is 2012, not 1964, and Bo’s celebrity unnerved rivals who favored a more nuanced, market-driven approach. In the end, they didn’t need to do much about him: as Bo got increasingly brutish, his own success killed him. His anti-corruption crusades became a front to lock away (and sometimes execute) political opponents. And thanks in part to wealth that his government confiscated from a number of industrialists, the so-called man of the people amassed a fortune. Party elites, who tend to keep quiet about their largesse, were uneasy about the wealth flaunted overseas by his Oxford- and Harvard-educated son. Bo was a liability to the party’s legitimacy, and a threat to their hard-earned spoils. He had to go. Bo’s political dreams were ended in February, when the Chongqing police chief sought asylum in the American consulate in Chengdu, about 180 miles away. The official reportedly revealed to American diplomats that Bo’s wife was involved last November in the murder of a British entrepreneur because of a business dispute. Every week since then, the allegations have piled up with the mystique of a James Bond novel. The New York Times has revealed that Bo even wiretapped the phone calls of the president, Hu Jintao. His son, who finished his Harvard master’s degree in May, will move on to law school in the U.S., while his wife is being held in detention. Bo, meanwhile, has been stripped of party posts and has not been seen in public since the imbroglio began. In the raucous and unforgiving world of Chinese politics, this sort of drama unfolds every decade or so—although the death of an Englishman has made this episode an unusual international incident. The odder puzzle, though, is how this thuggish plutocrat became so powerful in a country which, by Western stereotypes, is becoming prosperous and modern. The answer is that, for millions of Chinese, it isn’t, a conclusion to be drawn from Gerard Lemos in his rigorous and depressing study of the residents of Chongqing. It is a much-needed and remarkably well-timed glimpse into the underbelly of this Asian tiger, one that reveals the terrible burdens of a growing wealth gap, rising prices, decaying communities, and weakened social safety nets. Lemos offers a view of China outside the glamorous city centers of Beijing and Shanghai, telling the stories that censors keep away from international eyes. In these circumstances it is comprehensible why so many laborers and farmers turned to Bo, in the same way Al Capone was both cruel and admired in Prohibition-era Chicago. Lemos has worked on community and urban issues around the world and was an acting chairman of the British Council, the semi-independent government arm that promotes British culture worldwide. From 2006 to 2010, he lectured on social policy at the Chongqing Technology and Business University, a job that cultivated his interest in Chinese history and language. His aptitude for this country quickly earned him the trust of locals. When an official expressed his frustration over community disputes, Lemos proposed a plan to measure public opinion toward the government in a country where this sort of information can be hard to find. He created questionnaire cards that asked about the worries and the aspirations of regular people, and gave them out to three hurting neighborhoods. Residents could fill them out anonymously and hang them on “Wish Trees,” fake trees that his team constructed, but that are auspicious in Chinese superstition. The remarkable part is that Lemos obtained approval to carry out this project in a systematic way, and narrowly avoided losing all his responses to confiscations. The face-conscious Communist Party is nervous about revealing public opinion to the outside world, preferring to commission the state-run news agency Xinhua to compile these secret reports. This book is thus an intelligence-gathering project, too. Most revealing among the findings is that, unlike the bulk of the Tiananmen Square protesters, the Chongqing urban poor are not agitating for democracy, or at least not openly. They are looking for basic security in their daily lives, access to health-care, education, and land rights. They also want a return to the stable Confucian family life that has been strained by creeping drug use, prostitution, and debt. When conducting the surveys, one woman even cried over her malaise in front of Lemos and the authorities: “My husband is dead. He was a Communist. He fought for liberation in 1949. We are the workers. We are the people. They [the party] must serve the people. My daughter is far away in Guangdong. I am sick. I’ve had this lump for a long time. I think it’s cancer. I can’t afford to go to the doctor and I haven’t told my daughter.” Stories such as these show how a hooligan like Bo can amass power on a popular mandate, despite being vehemently opposed to Western-style democracy. The End of the Chinese Dream is original, rather, in the rigor and the depth of its human storytelling. In his narrative, Lemos gives credence to skepticism over whether the Chinese “dream” is real and whether the government’s economic reporting stands up to scrutiny. It is true that no growth story in history can match China’s—at least as it is viewed by the millions of people it has welcomed into the middle class in a short span of three decades. Still, officials have been known to cook their books under pressure from Beijing bosses. Unemployment, for instance, probably goes under-reported: party officials have been known to offer large packages to workers to “resign” from their factories rather than accept lay-offs, as reported in Foreign Policy. In late June the New York Times suggested that the government could be exaggerating electricity usage statistics to mask the current nadir into which industry has fallen. And for a brief period three years ago, car sales mysteriously took off in China while gas usage sat still, raising questions (and, some would say, conspiracy theories) over whether government-linked bodies were purposely buying up cars that were not being used. It is hard to believe that the struggling souls of Lemos’s study are buying them. These talking heads are correct that the party will need to tackle inflation and asset bubbles in the coming years. But this is no reason to portend an insurrection; the Communist leadership has always managed to reinvent itself after far more disastrous fiascoes of poverty, mismanagement, and social unrest—from the Great Leap Forward (45 million people dead), the Cultural Revolution (1-20 million dead), the 1976 Tangshan earthquake (240,000 dead), and the Tiananmen Square demonstrations (hundreds to thousands dead). Party elites have always had a talent for self-preservation, even by turning to vicious purges. The more important question is what form the party will take next: a democratic umbrella arising out of an Chinese Spring, a takeaway from Lemos’s book, or an even more authoritarian, and perhaps neo-Maoist, fiefdom resembling Bo’s Chongqing? Part of the answer requires looking to what the Chinese expect from their government, and how the party models itself in response to those aspirations. For China, this era is different from any other time in the previous century. The party is dealing with a distinct generation of urban, consumerist youngsters who are not old enough to remember the pre-1980s revolutionary years. Since they’ve witnessed the recent blossoming of China, many have a nationalistic spirit that their elders, who suffered through the mayhem of the past half-century, no longer possess. The party has dropped the volatile and destructive language of Mao. Politicians today call for “scientific” and “harmonious” development in clearly planned steps, part of a revival of China’s older Confucian values. But Lemos points out that since governing over human beings is far messier and unpredictable than any algorithm can show, this economic philosophy has had unintended consequences for the party’s science-educated rulers. Lemos is prudent to warn that unrest around the country will continue, and that the divided leadership is ill-equipped to handle the situation. Americans can therefore rest assured that China will not overtake their economic might, even if it does eventually become the world’s largest economy. The scary flipside, though, is that a Chinese collapse will bode even worse for American interests. Lemos is careful not to predict a coming downfall, although he does play with the fact that most experts did not foresee the Arab Spring and the fall Berlin Wall, either. Popular discontent in China, however, probably will not lead to these sorts of political openings. If the remarkable ascent of Bo is to be a forewarning, the end of the “Chinese dream” will instead bring about a hardliner revival and the withering of the moderate Politburo leaders. Thankfully, Bo has been purged right before the election, so this “New Left” faction has lost leverage for now. But others like him are gaining a popular footing, and their nationalist fervor should be feared. Geoffrey Cain is a freelance journalist who has covered Asia for Time, The Economist, The Wall Street Journal and The Washington Monthly. As a Fulbright scholar from 2010 to 2011, he studied the Vietnamese Communist Party’s censorship of newspapers.